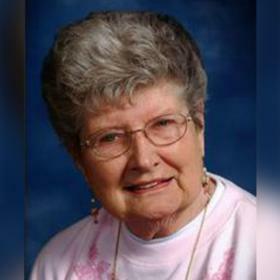 Rosalind “Rose” B. DeJong, age 91, of Holland died Monday, June 11, 2018 at Resthaven Care Center. Rose was a member of Central Park Reformed Church. She was a wonderful vocalist, organist, and she taught piano lessons for many years. Rose was a choir director at First Reformed Church in Fremont, MI and at Grace Reformed in Wyoming, MI. She was an excellent seamstress, and most recently was knitting hats for little children. She was preceded in death by her husband John DeJong in 2008 and a son John Jr. in 2002. She is survived by her daughter: Sandra DeJong-Jones of Holland; sister-in-law: Mae Scholten of Arizona; nieces and nephews.